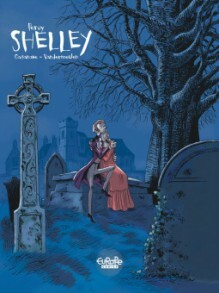 Percy Shelley is mostly remembered as the husband of Mary Shelley. I knew he also was a poet, but much more I didn't know. This graphic novels tells his story as he is expelled from Oxford and pisses off many people in the pursuit of his dreams. I don't know how accurate this story is, but I felt most sorry for his first wife, Harriet. Percy didn't came across as a likeable character. The art is rather cartoonish and not really my style. I'm however curious to find out more and would probably read the second part in this series.